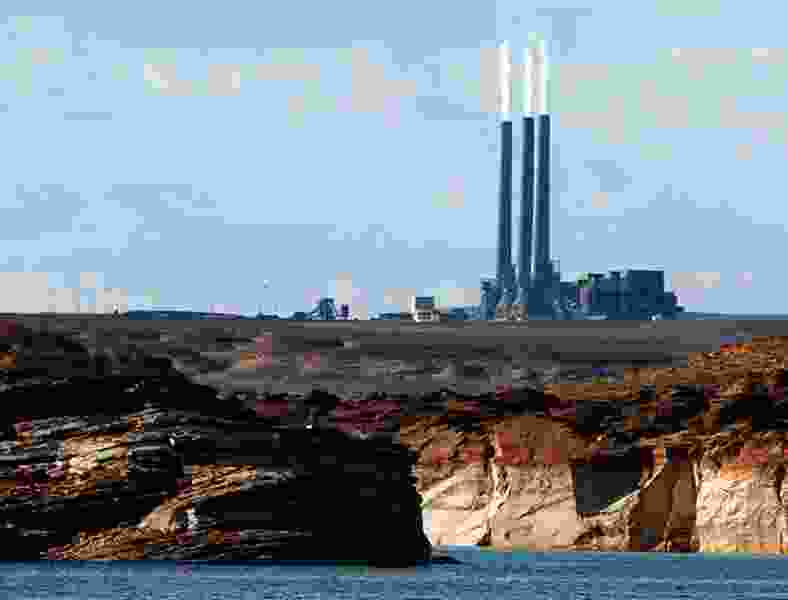 (Ross D. Franklin | AP file photo) In this Sept. 4, 2011, file photo, smoke rises from the stacks of the main plant facility at the Navajo Generating Station, as seen from Lake Powell in Page, Ariz. The owners of one of the largest coal-fired power plants in the West say negotiations with a tribe to take over the plant have hit an impasse. A Navajo Nation energy company has been talking with owners of the Navajo Generating Station to buy the plant that's scheduled to shut down in December. Albuquerque, N.M. • One of the largest coal-fired power plants in the West will close this year as planned after a Navajo Nation company ended its long-shot bid Friday to acquire it. The Navajo Generating Station initially was built to move Colorado River water through a series of canals to Arizona’s major metropolitan areas. But the operators of the canal said they, too, could find cheaper energy.